Project Management within the Construction industry is fast becoming a popular form for control and organisation. Commonly known for large Construction companies, however at Clarkson Builders we have learnt that not many of the public realise the benefits of Construction project management and how it can be a positive investment for your Construction work. What is a Construction Project Manager? A Construction project managers’ role is to ensure that all goals and targets are met by a specific time frame. The project manager has responsibility for the whole Construction process, to make sure that everyone is doing their job and everything is running smoothly. At Clarkson Builders, our project manager works extremely close with our architects to ensure that your dream Home Renovation in Milton Keynes is exactly what you aspire it to be. 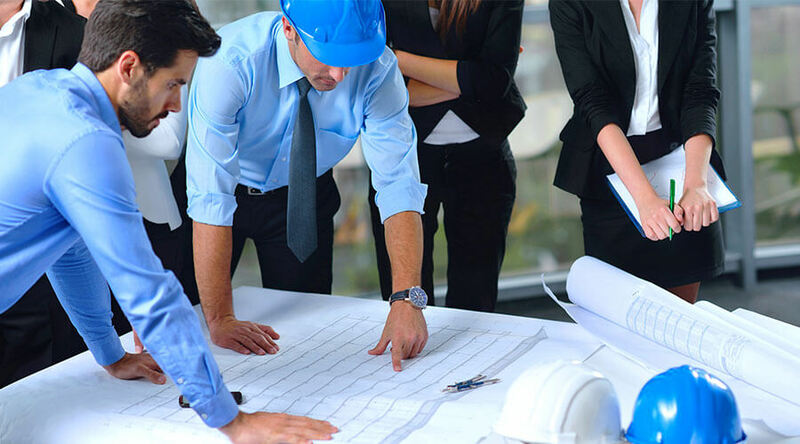 Deciding to invest in a Construction Project Manager is extremely important if you want the best out of your service, our project managers are able to look over our Builders in Milton Keynes to ensure they are giving their 100% effort and attention to detail throughout your Construction process. There are many benefits to getting a Construction project manager, take a look below at some of the ones we have come up with. The project manager is able to identify costs within the design stage to predict and advise the customer of the overall fees of the project. Planning is key with any Construction work, therefore the project manager is able to plan out the whole role process including Builders’ roles, time taken and how much it is going to cost. Builders’ are kept on their toes whenever there is a Construction project manager around, it is their responsibility to ensure that everyone is completing their job efficiently, to a very high standard. The project manager is to the go to person if the customer is not happy with anything regarding their Construction work, whether they want something changed, or they simply do not like the design. Instead of going directly to the Builder themselves, you can keep it professional all the way through. The list is endless as to why it is such a beneficial idea to invest in a Construction project manager for your Home Renovation work. Once you finally decide to get one, I think it’s safe to say that you will never look back. If you have any questions regarding our project management service, feel free to get in contact with a member of our team today.